On Christmas Day, I mooched around the garden, putting out some bird food before we descended on my parents’ house. 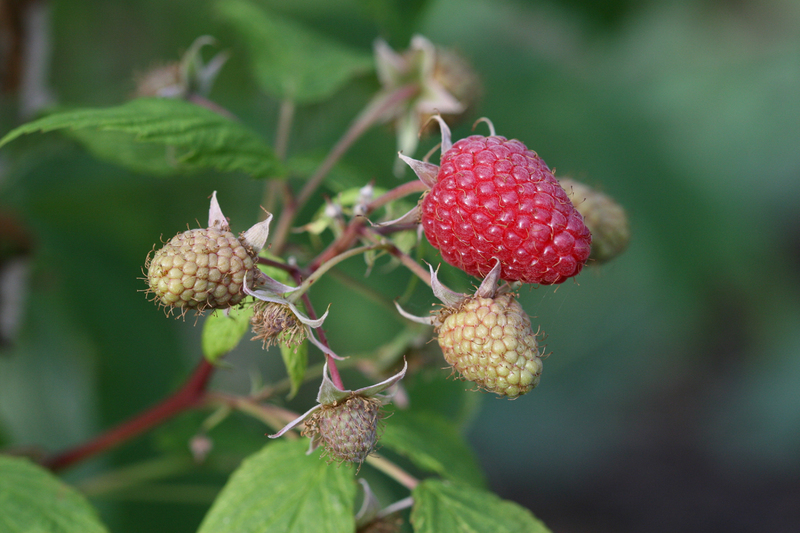 I plucked a raspberry from our Polka raspberry bushes, and then it struck me – I just ate a fresh raspberry. Off the bush. On Christmas Day. The weather in Bedfordshire has been exceptionally mild this month. We’ve only really had one hard frost so far this winter, and as yet have managed to escape the worst brunt of these (highly irritating) bouts of stormy, windy weather. Looking around, I have noticed that things are rather askew. The lilac had recently tried to bud again, a few alliums were shooting above the cool soil, and the more persistent aquilegias, red campion and even the asparagus have been trying to make a go of it. In late December. I know spring was late this year, summer was long and winding and Autumn has stretched on, but this seems so peculiar after the rash of cooler winters we’ve had recently. I think this time last year we’d had a couple of good dumps of snow at least, but it was only a fortnight or so ago that the trees lost the last of their leaves after a storm passed through. The blackbirds are singing their hearts out as if it’s the start of the breeding season. I’m just hoping they can keep their legs crossed for another few weeks, in case winter does finally arrive in the UK. I have a feeling its on its way. In terms of Smallest Smallholding, the warm start to winter has had its benefits, mostly in that I can work outside for longer without my fingers and toes feeling as though they’re going to drop off. The soil is cool enough now that the weeds are growing, but progress is slow. The stuff in compost bins is reducing down nicely as the weather stays warmer, but I should cover it up before the hard frosts start setting in. The garlic has been in for a while now and there are faint stirrings of life, and the various brassicas are still standing, relatively un-munched and an tact. I’ve managed to do far more in preparation for spring than in recent years, and things are starting to look much tidier (although, not too tidy… the wildlife doesn’t really like it that way). I still need to mulch a lot of the bare soil in the veg plots with compost whilst the weather is mild and according to my edition of John Seymour’s The NEW Self-Sufficient Gardener I should be thinking about sowing my next crop of leeks as well as Spring cabbages. There’s always so much to do. A raspberry on Christmas Day lucky you! But you’re right, it has been quite mild. It does sound busy at the smallest smallholding. I really need to put some time in here in the garden and also on the allotment, but it’s been quite wet lately. I’ve got a tree or two to put in as well. I hope you have a really lovely birthday. My friend’s is on the same day. And I hope you have a very happy and successful 2014.